Islamorada Florida: Sport fishing Capital Of The World! Islamorada is known to many anglers as the Sportfishing Capitol of the world. Much of this reputation is built on the Islamorada flats and inshore fishery and the spectacular Tarpon, Bonefish, and Permit fishing that is found there. A lesser-known and less fished aspect of the Islamorada fishery is the backcountry of the Islamorada area (Florida Bay). In the backcountry, there is very productive fishing to be had for Redfish, Snook, Black Drum, Trout, Snapper, Mackerel, and Sharks. No matter what time of the year you are fishing in Florida, Islamorada has something to offer. Islamorada is a year round fishery and there are always active species and game fish to target regardless of when you are here. Islamorada is a great central place to fish in Florida because of its location within the upper keys. The main upper keys consist of Key Largo, Plantation Key, Tavernier Key and Islamorada and the entire area offers phenomenal fishing opportunities. Because of this central location, fishing out of the Islamorada area offers tremendous flexibility. We may depart the dock in Islamorada and may relocate or jump around to different spots depending on where the fishing is best. Because the Florida Keys are a chain of islands connected by bridges, hopping from key to key is very easy and frequently we may find ourselves hitting one spot in the morning and then bouncing around to other spots throughout the day. We might fish to the north off of Key Largo or venture south to Marathon Key. It all depends on what we species of fish we are targeting and the conditions we encounter on the water. I want you to catch fish as much as you want to catch them and we will go where the fish are to make that happen. Whether we have to travel 5 miles or 20 miles I do whatever it takes to put you on the fish. Anglers frequently tell me “I want to catch a Tarpon, but I don’t fly fish is that possible?” or “I just want to catch fish, but don’t fly fish.” or “What if it is too windy to cast a fly rod?” Just to be clear, I love fly fishing and spending time on the flats stalking fish with a fly rod, but there are times when fly fishing isn’t possible or practical either because the angler doesn’t have the knowledge, it is too windy, the light is tough or a myriad of other reasons. Don’t let that discourage you, since all the species we target can be caught with a fly rod or spinning rod using bait or artificial lures. This isn’t specific to Islamorada, but should be mentioned. Islamorada is truly a year round fishing destinations offering opportunities even in the middle of winter. Of course there are certain times when the fishing is best, but no matter when you are here you can have some great fishing. This is especially true in the Islamorada backcountry (Florida Bay). The species we target in the backcountry can be caught throughout every month of the year, especially Redfish, trout and Snook. Tarpon are also available in the backcountry for much of this time showing up in spring and remaining until late fall. Spring Time is a spectacular time in Islamorada, specifically Tarpon Time! Islamorada is one of the best places in the world to catch giant migrating Tarpon. We can be targeting rolling Tarpon on the flats or laid up Tarpon in the backcountry early in the morning and head out to the ocean side banks and target traveling/ migrating fish in gin clear water in the afternoon. Tarpon fishing in Islamorada is truly spectacular with fish well over 100 pounds available frequently. These fish will test the limits of your tackle and your fish fighting abilities with their powerful, dramatic acrobatic battles! 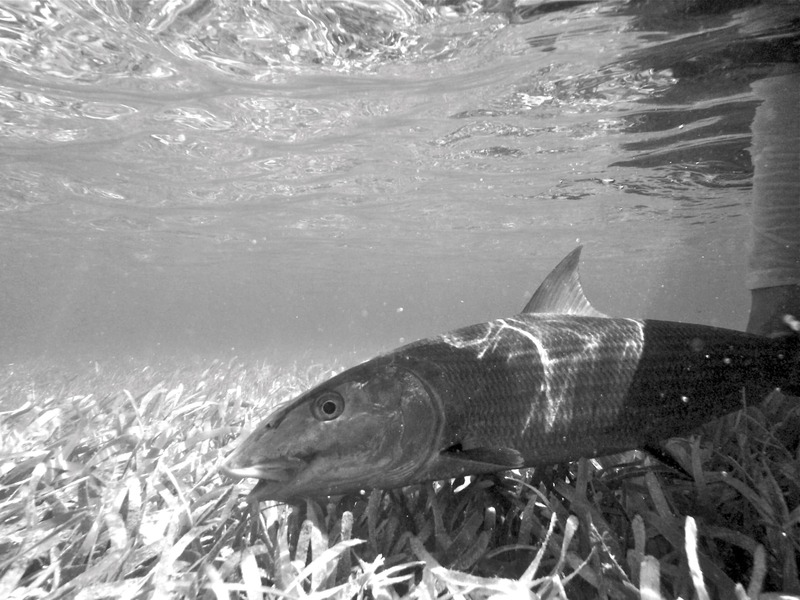 Springtime in Islamorada is also a great time to target Bonefish. 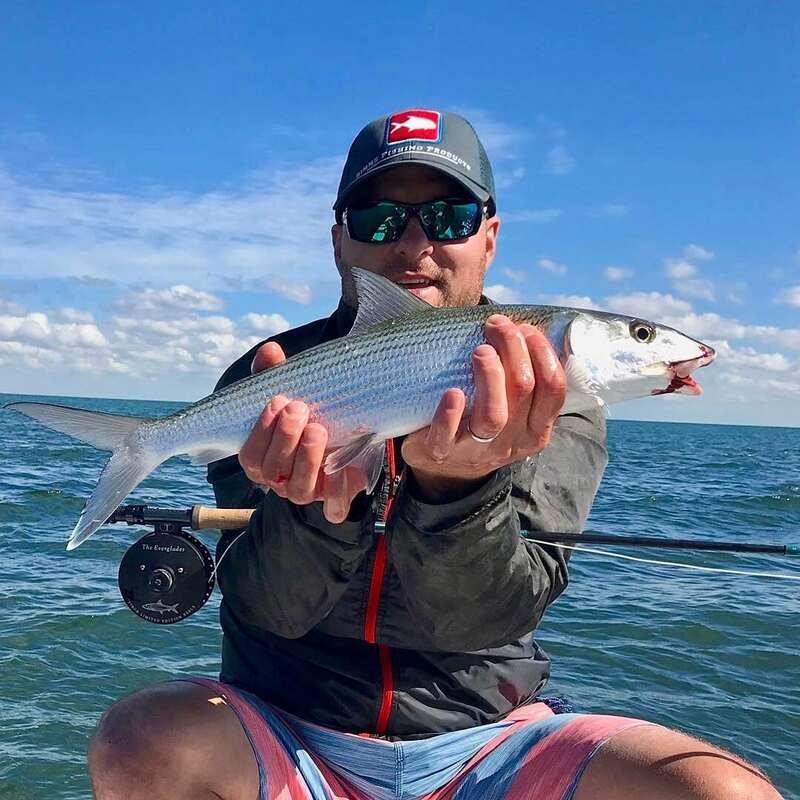 Since the majority of the anglers are Tarpon fishing in the spring and there are very few boats on the flats targeting Bonefish. As a result, there is little to no pressure on these fish. Combine that with the fact that Islamorada is known for having the biggest Bonefish in the world and you have a recipe for some phenomenal Bonefishing! If you are after big bonefish, Islamorada in the spring is a great place to be. It seems like every year someone is breaking a new Bonefish world record in Islamorada. 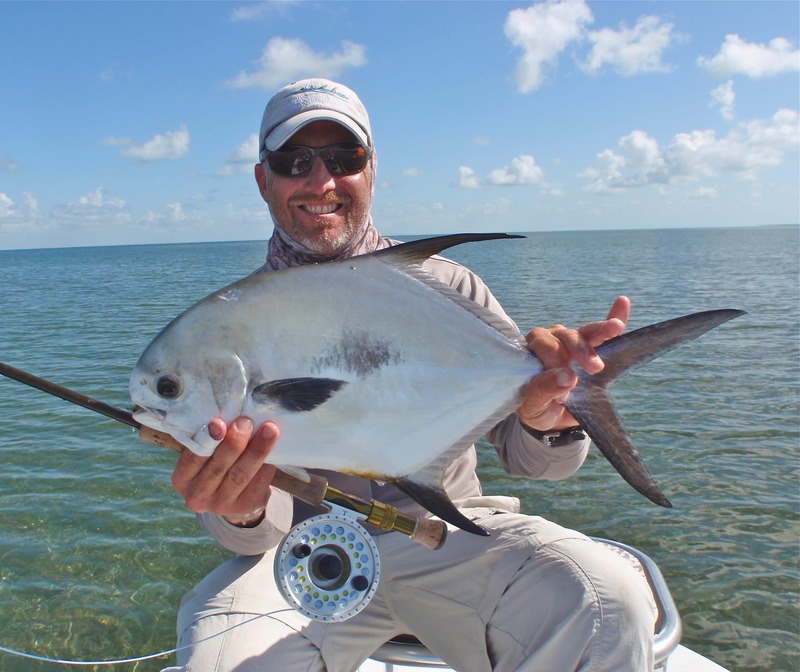 Permit fishing in Islamorada during the spring can also be very good. 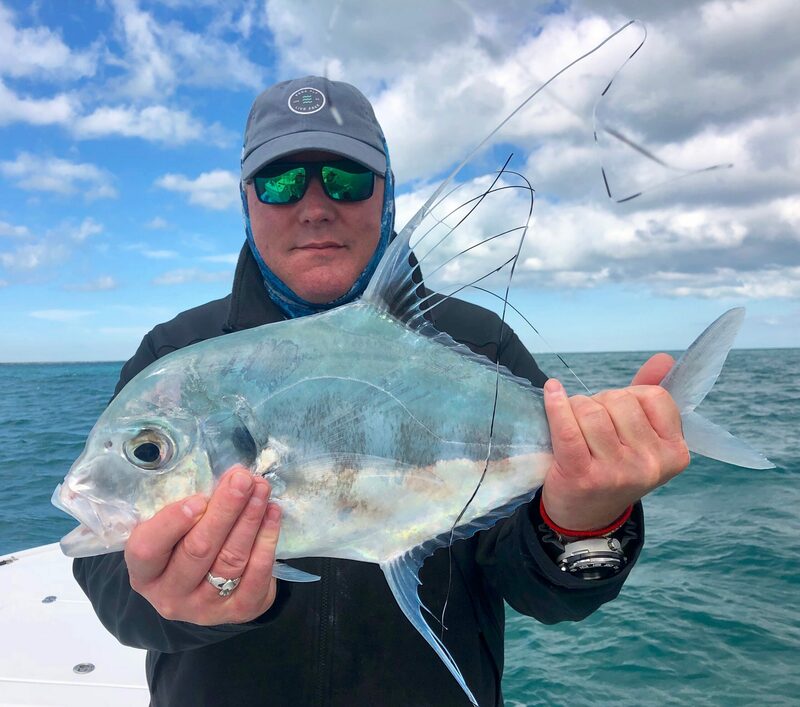 It is not uncommon during spring time Tarpon fishing trips throwing a small blue crab or a Tarpon fly, to come across a school of Permit looking for a quick meal. Permit will almost never refuse a live blue crab and at times take a big Tarpon fly mistaking it for a crab. Fishing in the summer time is very similar to the spring, except for the fact that Tarpon fishing starts to slow down. There are still plenty of Tarpon around, but just not the numbers that are found during the spring. During the summer months in Islamorada, the Permit fishing is in its absolute prime! During this time of year the Permit are on the feed and you have the potential of getting many great shots at big Permit throughout a day of fishing. Bonefishing during the summer is also very good with large schools of smaller fish in the backcountry. There are still plenty of big Bonefish around on the flats mixed in with the Permit as well. Frequently during the summer, you will get an afternoon thunderstorm and then it will clear out. During these times we frequently head out Bonefishing late in the afternoon and encounter some of the best Bonefishing you will ever see. In the backcountry during the summer, sight fishing Redfish and Snook on the flats can be great. Throw in plenty of 10 to 50 pound Tarpon that love eating flies and top water lures and it can be tough to beat! Since the temperature is quite a bit warmer at this time so for the most part we start earlier and get off the water earlier before the afternoon storms start rolling in. Fall is probably my favorite time of year to fish anywhere from Biscayne Bay to Islamorada and Florida Bay (Flamingo). Fall is when everything comes alive on the water. Bonefishing can be some of the best all year and it’s not uncommon to take cast at double-digit fish several times through out the day. The Permit fishing can be on fire and there are still plenty of small Tarpon around to play with. The Redfishing during this time in the backcountry of Islamorada is phenomenal! This is when we get big schools of Redfish on the grass flats of Florida Bay, offering the opportunity to sight cast to them with flies or artificial baits. Snook frequently offer additional opportunities when they can be found on the shallow flats sitting in potholes or along the coast off the beaches during their spawn. During the winter months, we focus on the backcountry (Florida Bay) as the water remains warmer and many species overwinter here. The species available during winter months are Redfish, Trout, Black Drum, and Mackerel. There is also some good Bonefishing available further to the north off of Key Largo and Biscayne Bay, just a short drive or boat ride away. People come to Islamorada for many reasons including the fantastic fishing. The area draws people because it is so diverse and offers a fantastic destination for the fishing and non-fishing traveler. One of the biggest non-fishing draws to Islamorada and the Florida Keys are its beautiful reefs. People come from all over the world to scuba dive and snorkel the reefs enjoying the amazing sea life. If you’re not a certified diver, there are plenty of dive shops around that provide classes for certification. There are plenty of Kayak rental around as well for those of you who want to explore on your own and get a good workout. You can wander off and explore some of the beautiful mangrove shorelines, bays and beaches that the Florida Keys has to offer. The lodging options in Islamorada are wide ranging from five star resorts to mom and pop motels; you can choose something to fit your tastes. Islamorada is also well known for great restaurants especially fresh seafood, it doesn’t get much fresher than when you are right on the water! There are also plenty of great shops, spas and Tiki bars where you can watch some of the world’s most beautiful sunsets. Islamorada truly has something for everyone and is a spectacular fishing destination giving visitors the best of all worlds!